All dimensions and sizes available. Standard dimensions can be found here. 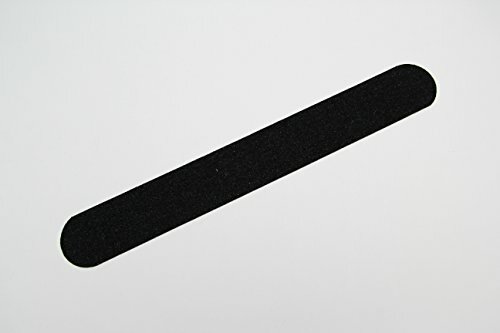 Anti-slip strips for internal stairs, will not damage stockings. 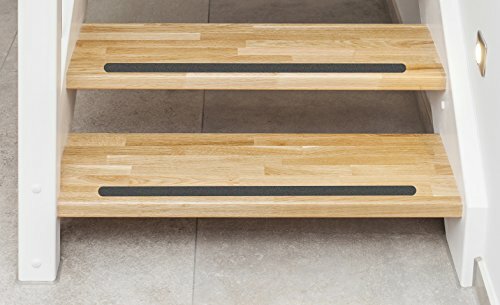 1 roll 18.288 m (60 Feed) x 5 cm Anti-slip strips transparent, anti slip for stairs (wood/tile/glass/natural stone) Our top products "kara. 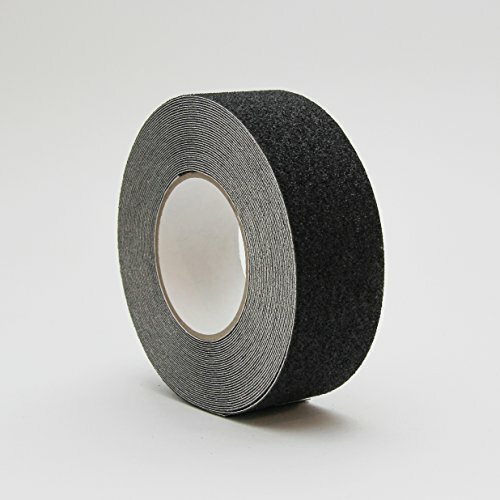 grip" R10 non-slip strips in embossed plastic in various size and different qualities. We are a specialist trade anti-slip products. • For your safety all steps are non-slip • Practically invisible non-slip strips made of embossed or rubber R10 film • Choose from different qualities, approx. 0.5 mm thick • Made from skin-friendly, very non-slip material • Sock protection due to non-slip protection without rough surfaces • Embossed plastic, no mineral or aluminium oxide grain • Easy to install as self-adhesive • Rounded ends guarantee optimum adhesion without the corners peeling off • Through the "soft 'feel' also very comfortable for bare feet • If necessary, residue-free removal • Delivered with assembly instructions [cannot guarantee in English] We offer you an anti-slip solution for your indoor (wooden) stairs – "Kara.grip" strips with embossed structure (fine grit) and a further variant with embossed rubberised surface structure. The rubber version is the best choice for indoor stairs in the living room. For high-traffic areas (such as nurseries, schools and office buildings) and in wet areas, the embossed strips are better. Other shapes and sizes are also available.